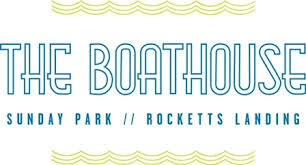 VCOG will be celebrating its 20th anniversary at a dinner on Sept. 22 at the Boathouse Restaurant at Rocketts Landing in Richmond. The dinner will include recognition of Ginger Stanley, who retired yesterday as the Virginia Press Association’s longtime director. Ginger was a founding director of VCOG and has served on the board for its entire 20-year history. Stay tuned for more details on purchasing tickets, becoming a sponsor and/or underwriting various aspects of the dinner. We hope to see you there! Megan Rhyne was the featured guest on the June 10 edition of This Week in Richmond, hosted by David Bailey. Rhyne and Bailey talked about the legislative process and current open government challenges. VCOG has signed on to an amicus brief in support of Daily Press reporter Dave Ress, who is asking the Virginia Supreme Court to accept a case challenging the Office of Executive Secretary’s refusal to release a database of court case information. The brief was drafted by Craig Merritt and David Lacy of Christian & Barton on behalf of the Virginia Press Association and signed onto by five others: BH Media Group, Gannett Corp., Landmark Media Enterprises, Reporters Committee for Freedom of the Press and VCOG. The OES says the database isn’t subject to FOIA because the information belongs to the clerks of court who transmit it to the OES. The brief argues the lower court — which sided with the OES — incorrectly agreed that the clerks have ownership not only of the records they take the information from (to enter it into the database) but also the information itself. The current version of FOIA is now on VCOG’s website. The changes made by the 2016 General Assembly are highlighted. Take note that there are A LOT of highlights, but this primarily due to the fact that the legislation to undo the Supreme Court’s ruling on redaction — the legislation makes absolutely clearly that there IS a duty to redact — required fixes throughout the entire act. Local and state governments, school districts and constitutional officers around the state are designating FOIA officers who will serve as a public contact point for FOIA requests. Local governments of more than 250 people are also now required to post a FOIA rights and responsibilities page linked from their home page. Both requirements are the result of HB 818, which goes into effect today and which was patroned by Del. Jim LeMunyon (R-Fairfax). Read the FOIA officer statute. VCOG is compiling a list of the officers, who are required to get training at least once a year. Nearly 300 officers from state and local governments and from all corners of Virginia have already signed up. The list will allow officers to contact one another, and will allow VCOG to create a listserv to keep the group up on recent FOIA developments and training opportunities. Speaking of FOIA training, VCOG is currently in talks with Tidewater Community College to conduct quarterly FOIA training webinars. Stay tuned for details! Here is the link to fill out the FOIA officer contact information. Please share it with any FOIA officers you may know. It’s a short Google form that asks for name, address, email and phone number. That’s it! Arlington County will not post responses to FOIA requests from the public online. A link to the requests are located on the county’s “FOIA Center” website. The City of Winchester came under fire twice during June. First, The Wincehster Star noted how many more closed meetings the city council held than other governing boards in the area, and how much longer those sessions lasted. Noting that more frequent and longer meetings are often the product of the specific business facing a board at any given time, council president John Willingham said the city would likely reevaluate how it conducts closed sessions. Later in June, The Star noted the city requires reporters to submit questions in writing to a communications manager, and the manager must be present during any interview with a city employee. The Fairfax County Police Department’s Public Affairs Bureau began a partnership with CrimeReports.com, a Web site devoted to increasing community awareness of police-related events. Events reported to county police and stored in the department’s I/LEADS records-management system will be published automatically to a free, interactive map accessible on desktop or mobile devices. When asking two state agencies for records related to the cost of the governor’s April trade mission to Europe, the Virginia Economic Development Partnership charged the Daily Press $78, while the Virginia Department of Agriculture and Consumer Affairs provided its records for free. Portsmouth City Councilman Danny Meeks found himself in a unique position as both a plaintiff in one case challenging the council’s policy on fining members for disclosing matters discussed in closed session, and a defendant in another case arising from the same policy. In the second case, a Portsmouth judge did not rule on the propriety of the policy, but she did rule that five of the council members, including Meeks, violated FOIA’s meeting provisions when they presented a signed letter to fellow council member Bill Moody informing him he was being fined under the challenged policy. The letter required a vote in front of the public, said Circuit Judge Catherine Hammond. The Election Law Program at William & Mary’s law school and the National Center for State Courts in Williamsburg launched the State Election Law eBenchbook website intends to help judges find answers to election law challenges. The initial roll-out of the website is concentrated on laws in Virginia, Colorado and Florida. Lovettsville Town Council canceled a meeting during which council members and the community were going to discuss the controversial AT&T Facility Commission Permit on Short Hill Mountain after Loudoun County administrators decided the meeting was not an appropriate venue for discussion. County administration refused to attend and worried about a “possible confrontation” over a lack of information available to the public. The Virginia Court Clerks’ Association recently awarded $13,940 to the Rockingham County Circuit Court from the Circuit Court Records Preservation Program to preserve three county record books. The program is funded through a $1.50 fee included with the cost of recording land transactions and judgment in circuit courts. Rockingham also became the first locality in Virginia to move to the e-File VA system, a Texas business that manages similar systems in 19 states. Rockingham now joins Virginia Beach and a handful of other Virginia localities that have abandoned the state judiciary's electronic filing system. State officials accused Northrop Grumman, which handles various IT needs, of failing to save emails despite subpoenas from an ongoing federal lawsuit. "This breach raises grave concerns about the reliability and integrity of Northrop Grumman's backup and archival of Commonwealth data," the May 11 letter from the Virginia Information Technologies Agency, the agency that liaises with Northrop Grumman, states. A series of BVU documents call into question exactly who authorized a $23.4 million financial transfer now being probed by the Virginia Auditor of Accounts and Budgets. Though an email references the board’s approval at a meeting, minutes of that meeting do not include mention, discussion or a vote on the transfer. Portsmouth’s purchasing administrator would not tell a bidder for a trash disposal contract why its bid was rejected. In fact, he would not tell the city council members why, either, citing a city code that prevented him from doing so. A day after the Richmond Times-Dispatch ran a story detailing how state officials and Portsmouth jail officials cited HIPAA in refusing to release any information about the death of an inmate after being transferred to Central State Hospital, the state’s health and human services director revealed some of the details in a sit-down interview. He still declined to identify the woman by name, however, again citing the federal health privacy law.